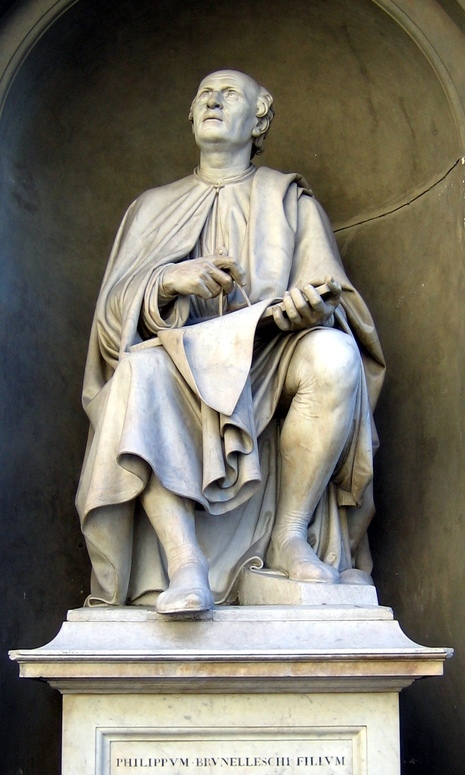 In 1401, Brunelleschi entered a competition to design a new set of bronze doors for the baptistery in Florence. Along with another young goldsmith, Lorenzo Ghiberti, he produced a gilded bronze panel, depicting the Sacrifice of Isaac. His entry made reference to a classical statue, known as the 'thorn puller', whilst Ghiberti used a naked torso for his figure of Isaac. In 1403, Ghiberti was announced the victor, largely because of his superior technical skill: his panel showed a more sophisticated knowledge of bronze-casting; it was completed in one single piece. Brunelleschi's piece, by contrast, was comprised of numerous pieces bolted to the back plate. 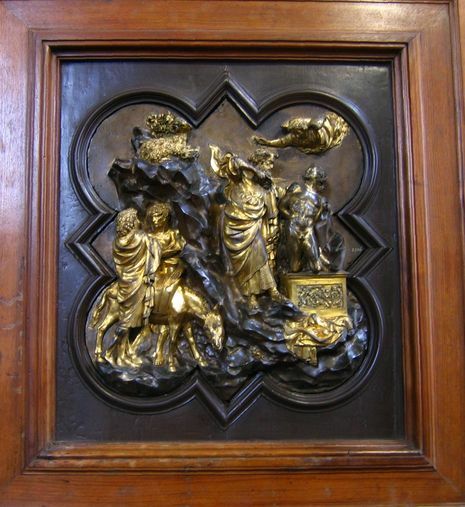 Ghiberti went on to complete a second set of bronze doors for the baptistery, whose beauty Michelangelo extolled a hundred years later, saying "surely these must be the "Gates of Paradise." 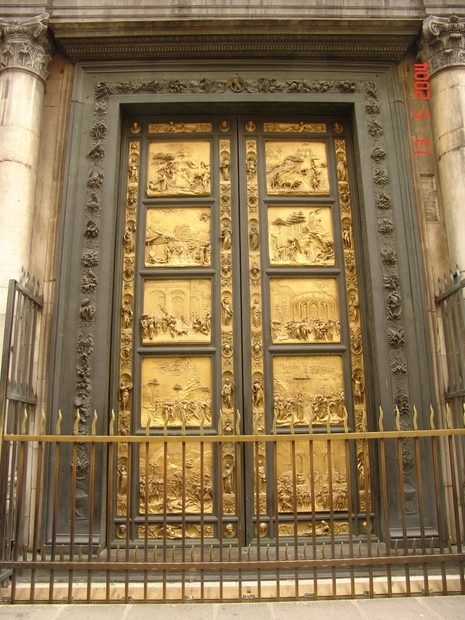 Ghiberti first became famous when he won the 1401 competition for the first set of bronze doors for the Baptistery of the cathedral in Florence. Brunelleschi was the runner up. The original plan was for the doors to depict scenes from the Old Testament, and the trial piece was the sacrifice of Isaac. However, the plan was changed to depict scenes from the New Testament, instead. To carry out this commission, he set up a large workshop in which many artists trained, including Donatello, Masolino, Michelozzo, Uccello, and Antonio Pollaiuolo. 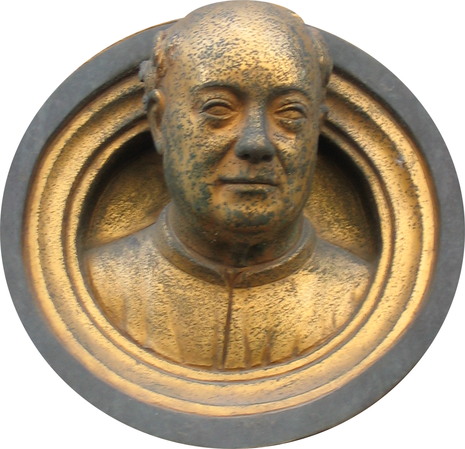 Ghiberti had re-invented the lost-wax casting (cire perdute) of bronze-casting as it was used by the ancient Romans. This made his workshop so special to young artists. When his first set of twenty-eight panels was complete, Ghiberti was commissioned to produce a second set for another doorway in the church, this time with scenes from the Old Testament, as originally intended for his first set. Instead of twenty-eight scenes, he produced ten rectangular scenes in a completely different style. They were more naturalistic, with perspective and a greater idealization of the subject. Michelangelo dubbed these scenes the "Gates of Paradise." "The Gates of Paradise" is known to be a monument to the age of humanism.